I think my phone knows that I’ve pre-ordered the new model. This is the only way I can explain its sudden decision to stop sending texts when I ask it to, to stop charging when I plug it in, to stop letting me download pictures and documents. I’ve had this phone a long time. The phone that will be arriving at my door in a few days is three generations newer. I was determined not to let a pesky thing like built-in obsolescence force me to buy a new phone every 12-18 months. Besides, my phone was working just fine. Or, mostly fine. Until it caught wind of my betrayal. Now it seems bound and determined to make me sorry in these last few days. Sigh. And I am duly sorry. My old phone has served me well. So sure, I’m sorry … and really looking forward to unboxing the new model and setting it up. More storage and a better camera just in time for this year’s 24 Hour Project! Is this new phone season for you, too? I’ll admit, I’d be more excited if the cost of a new phone wasn’t practically the same as my rent! I spent today busy with the 24 Hour Project. I wasn’t sure I could handle the non-sleeping, body-punishing walking, photo- and story-finding work of that challenge and make a poem, but Jezebel saved me. I worked my erasure differently today. I’m not sure the result does what it should, but I have a poem and I’m sticking to it! into the drunken oblivion of evening. and things that are not. Today’s poem felt much too easy. Charles M. Blow at the Times doesn’t pull his punches, and his words were what I needed today. I don’t know that I love this poem, but I kind of love that it was possible. Trump is this ridiculous boondoggle. from those who abandoned all principle to stand with him. and consuming fear are real. He has only one mode: inferno. See? Way too easy. But it felt good to stitch together. Like exhaling a too-long-held breath. Pour me a cold one? On Tuesdays when I get to the PT gym, Jeremy is there, getting in a workout before his shift starts. He smiles and waves, sometimes salutes, as I head for the changing room, then gets back to work. When I first wrote about Jeremy, I mentioned that, while I can see that people would find him attractive, he’s not the kind of attractive that does it for me. 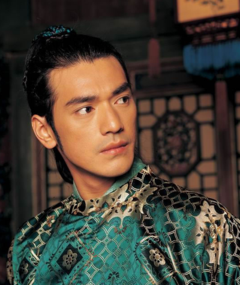 My favorite of the PT boys — because they are all ridiculously young — was Daniel, who turned my head by looking like Takeshi Kaneshiro. Jeremy is a little too BMOC jock dude-bro. Not a type I go for. He has a big, overtly-muscular body, also not a type I go for. In these last weeks I’ve discovered that I am, in fact, a liar. That it’s my burning pants setting off the smoke detectors in here. Seeing Jeremy working out has been a revelation. Seeing sweaty Jeremy post-workout on his way to shower … well … yes. This morning, I discovered that I am not alone. I was sitting under a giant ice pack as one does after a session. Jeremy came down for his shower, and the woman beside me expressed disappointment that she’d have to wait for her own shower. Yu-Lan told her not to worry, that Jeremy would be quick. She looked at Jeremy for confirmation, and he nodded. And the woman — surely involuntarily, surely without thinking about how it would look to the rest of us — ran her eyes down his body. Slowly. Yu-Lan, Jeremy, and I burst out laughing. I nodded. Yu-Lan laughed and gave a thumbs up. This doesn’t mean I’ll be showing up at Friday PT sessions with my nose wide open. As if. It did make for an an amusing start to my Tuesday, however. And it’s interesting to see that — given the proper circumstances — a type of guy I didn’t find attractive can suddenly look like a tasty treat!